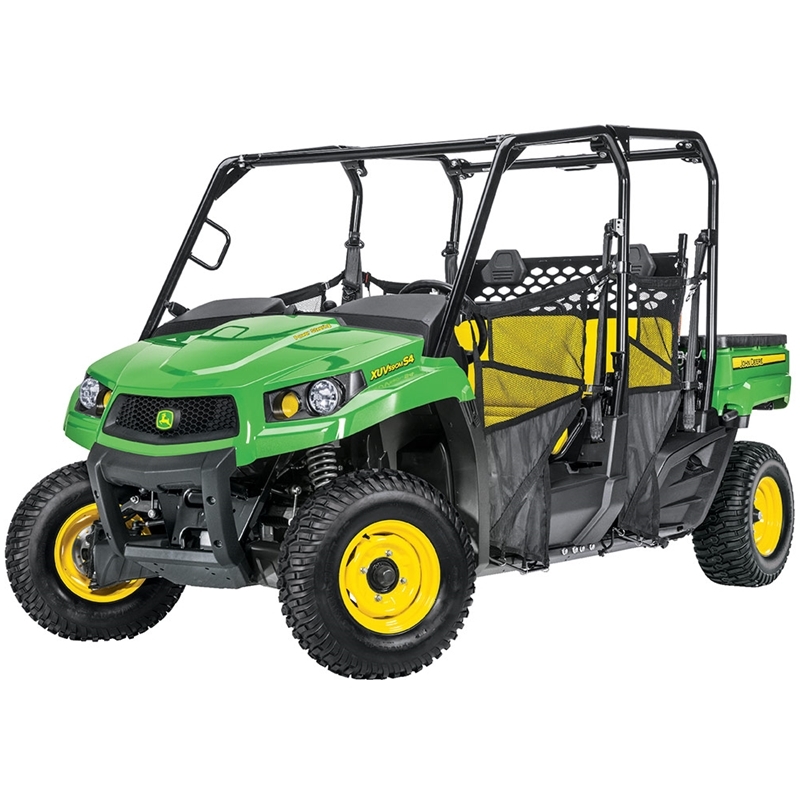 John Deere's XUV 590M S4 has the same great features as the XUV 590M plus standard power steering, a new designed automotive dash, and brighter longer-lasting LED headlights on top of the ample storage, comfortable ride and handling, and a well equipped interior. 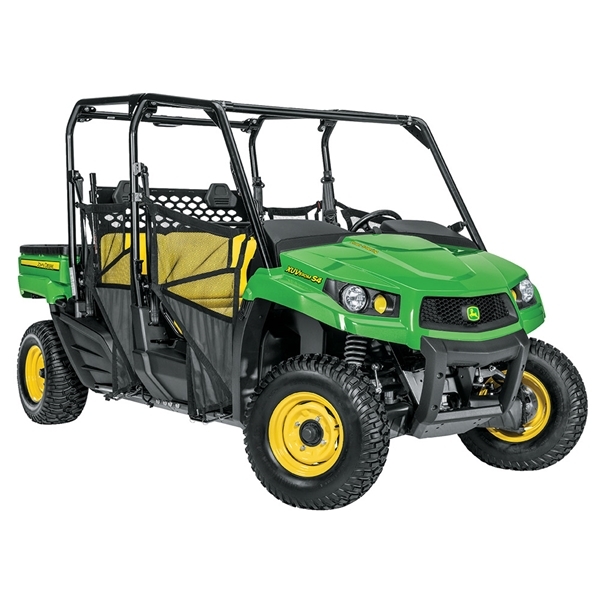 This mid-size utility vehicle offers 20 tie point points integrated in the cargo box. 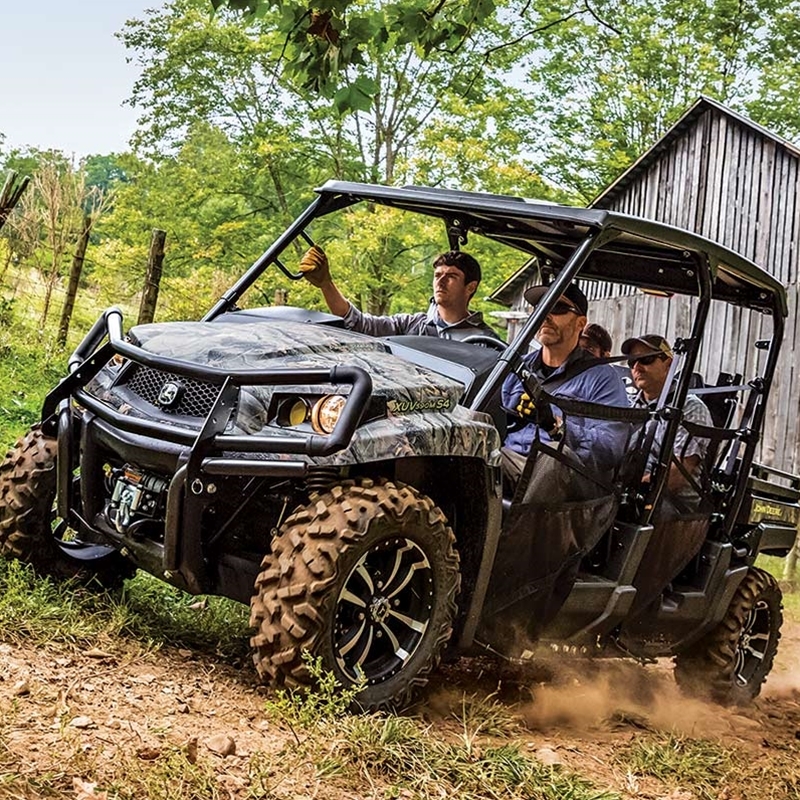 With a compact footprint, you can take this UTV almost anywhere in the back of a full-size pickup. Great value, compact size, large volume of sealed storage, and a top speed of 28 mph, this Gator is great for the farm and outdoor activities!